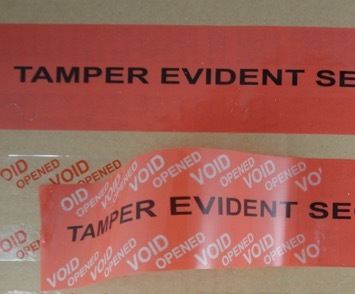 Tampertech design and manufacture security, tamper evident box tapes. 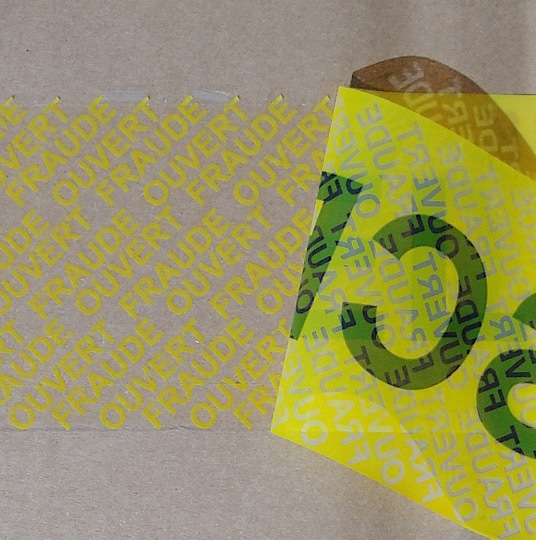 These self wound tamper evident tapes can be used just like normal packaging tapes, but by leaving a clearly a visible warning message on the packaging add a new layer of protection to your packages. We provide a standard off the shelf range of tapes as you can see on the other pages but we also offer you the option of customised tapes for additional security and marketing potential for your products and packages. Tamper Technologies design and manufacture in-house and utilise the latest in security tamper evidence to produce the best security tape for you. You can chose between colour, security void message, surface print message, logo, inks, holograms, size, length, perforated and much more. Our tapes can be automatically machine applied or with a manual tape dispenser.